Negotiation is an interactive process between two or more parties on an issue or issues of mutual interest or dispute. 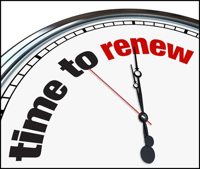 Typically the parties seek to make or find a mutually acceptable agreement that all concerned will honor. 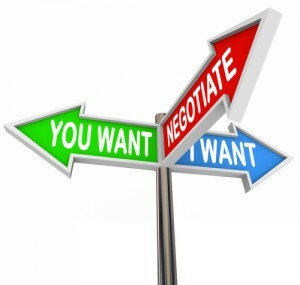 Negotiation tactics are the detailed methods employed by negotiators to gain an advantage over other parties. 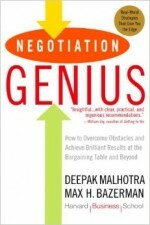 Leaders negotiate every day and it is important that leaders become skilled at negotiation. A negotiation may be simple, such as negotiating with a team member for some time off; or it may be extremely important and complex such as negotiating a large contract with a customer. Regardless, leaders need to be adept at using the appropriate negotiation skills. Leaders often need to negotiate with peers or with senior leadership to get the resources needed to achieve their goals. Excellent leaders always negotiate with integrity. 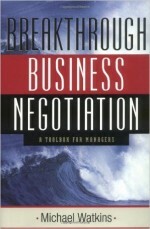 Some negotiators view negotiations as a situation to get as much as possible from the opponent. It is better to achieve a “win – win” result with both parties maintaining their respect for the other side. However, be certain to understand your bottom line in negotiations; you may have to walk away. Leaders who have the ability to negotiate with integrity and get the results they need gain in credibility and respect from all parties. Learning negotiation tactics helps leaders understand how they can achieve what is needed with all parties being respectful of the process and resulting decisions. Recognize when you are faced with a negotiation. This enables you to prepare. Too often, we get into a negotiation without preparation and end up on the losing end of things because the other party is much more prepared. Actively listen to the other party. Find common ground in objectives and purposes. Strive to look at things from the other party’s point of view. This is not to help you move to their position, but rather to help you understand their motivators and how to respond to them in the most effective way. Be determined to improve your negotiation skills and behaviors. Take the short self-assessment on this page to identify where to improve your skills and behaviors. Then, get more coaches’ recommendations in Chapter 31 of The Leadership Compass: Mapping Your Leadership Direction to help you renew in this important competency. Measure your negotiation skills and behaviors! When answering the questions, consider how others might evaluate your negotiation. Congratulations, you have completed the Negotiation Self-Assessment. As you review your results, focus on your 2 or 3 lowest scores (1 & 2). Learn more about negotiation and get the coaches’ recommendations in Chapter 31 of The Leadership Compass: Mapping Your Leadership Direction book to improve your negotiation skills. I understand the importance of negotiating with others regarding differences in issues. 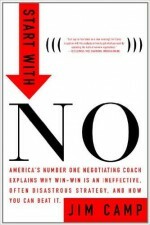 I approach negotiations with the goal of establishing a win-win result. I know when to say no during a negotiation. 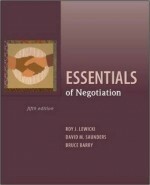 I prepare for negotiations by analyzing the negotiation environment. I prepare for negotiations by identifying all alternatives. I enter negotiations with the right team in place to negotiate. I understand that ongoing relationships are important in negotiations. I approach negotiations with a clear understanding of the big picture. I effectively handle unethical negotiation tactics.